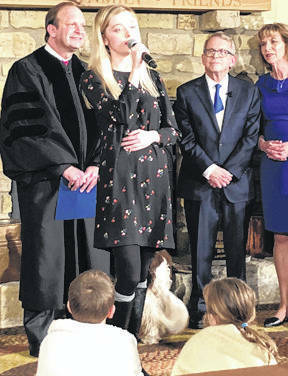 CEDARVILLE — Flanked by family and close friends, Mike DeWine became Ohio’s 70th governor shortly after midnight Monday, Jan. 14 in private ceremony at his farm near Cedarville. 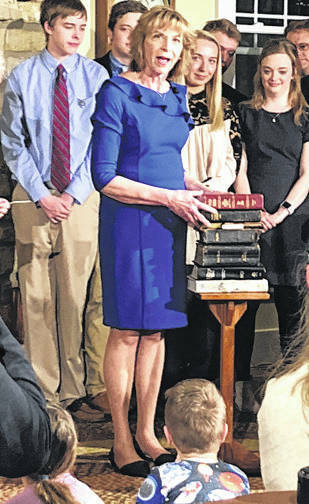 https://www.recordherald.com/wp-content/uploads/sites/27/2019/01/web1_DeWine-1.jpgFirst Lady Fran DeWine explains the meaning of every Bible Gov. DeWine used at his swearing in. 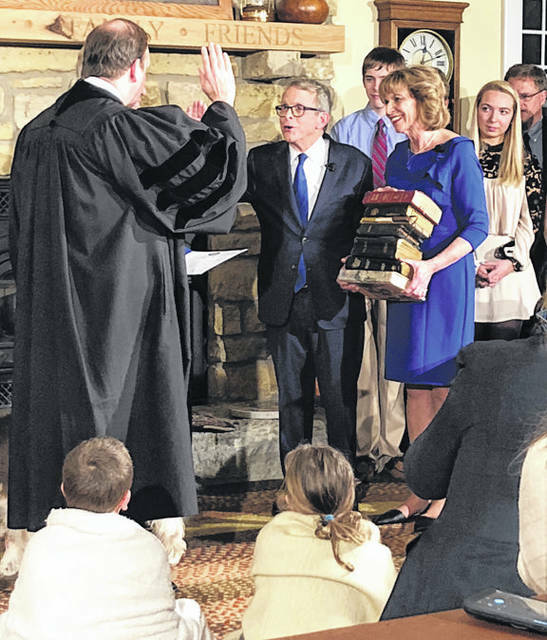 https://www.recordherald.com/wp-content/uploads/sites/27/2019/01/web1_DeWine-2.jpgCedarville’s Mike DeWine takes the oath of office as he becomes Ohio’s 70th governor Jan. 14. His son, Ohio Supreme Court Justice Pat DeWine, administers the oath. https://www.recordherald.com/wp-content/uploads/sites/27/2019/01/web1_DeWine-3.jpgGov. DeWine’s granddaughter, Caroline Darling, sings a faith-based song. 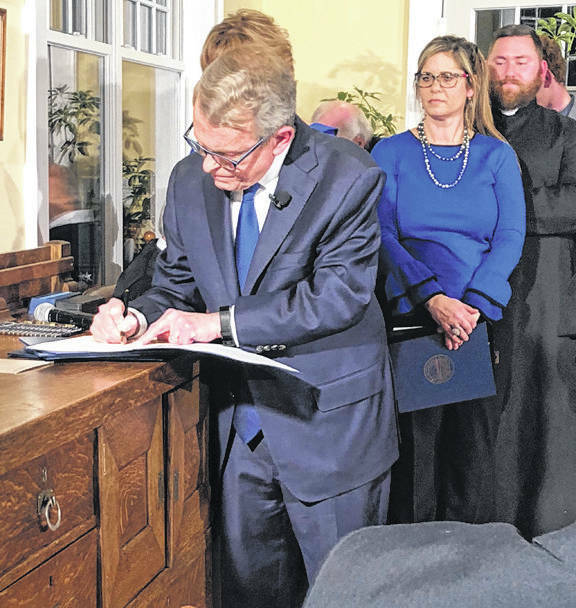 https://www.recordherald.com/wp-content/uploads/sites/27/2019/01/web1_DeWine-4.jpgGov. DeWine signs the official oath of office.